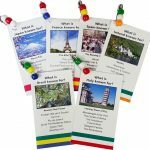 Choose from 22 countries. 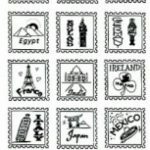 Perfect for stamping passports or making crafts for swapping on Thinking Day*. 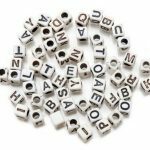 Order only the numbers and letters you need. 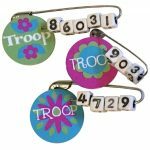 Make swaps with your troop number or even bracelets or necklaces. 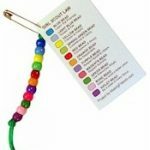 A colorfully convenient way to keep your swapped pins organized. Add a name tag! 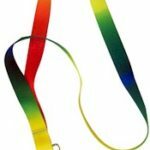 Key chains are attached to 17-inch lanyards with tie dye look. 1 per unit. Kit makes 100. Every country is available. 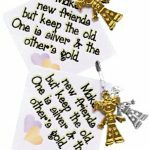 This kit features silver and gold charms to represents making new friends but keeping the old. The cutest pins you will ever swap. Everyone will love them! 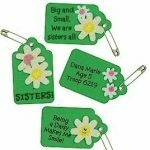 Use this kit to earn your violet petal: Be a sister to every Girl Scout*. Order one kit per girl. The perfect swapping craft for every troop. No scissors or glue needed!